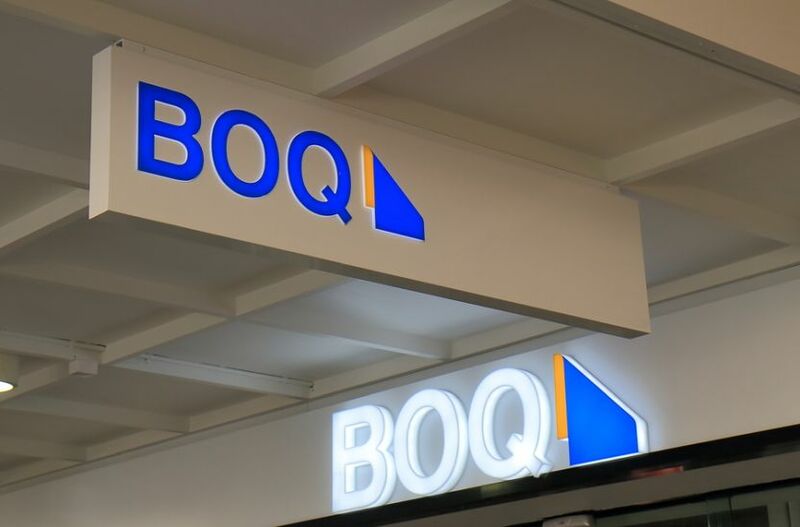 Challenges are mounting for Bank of Queensland ((BOQ)) as the regional bank battles rising costs and regulatory requirements. Credit Suisse believes the plight of regional banks is well summarised in the bank's first half result, which had been pre-released. A lack of scale makes it difficult for Bank of Queensland to achieve the technology investment required in a digital world, or cope with increasing regulatory requirements. The broker believes external intervention is required, which may mean merging with other smaller operators to compete with the major banks. Bank of Queensland closed 11 branches during the first half, after closing four in the second half of FY18, reducing its branch footprint to 172. Hence, the challenges have been laid bare, Citi asserts, and the interim management has ordered a retail banking redevelopment, reviewing return metrics and simplifying the business. There was no growth, as expected, in the home loan book between August 2018 and February 2019. Morgans continues to expect the bank will struggle to grow the home loan book without compromising too much on margins, until it has a competitive mortgage fulfillment process. Bell Potter, not one of the eight stockbrokers monitored daily on the FNArena database, has a Hold rating and $8.80 target and finds the weaker top-line a source of concern, particularly given the poor performance in retail banking, with mobile apps not delivering and regulatory uncertainty affecting the owner manager network. The business finance and specialist segments performed somewhat better. The outcome of the first half supports Bell Potter's view that Bank of Queensland is gradually evolving into a finance company with a higher return/high risk profile. Macquarie suggests continuing deterioration in the core retail franchise means volume growth is likely to remain under pressure and the bank has experienced loss of market share. Owner-manager branch numbers are shrinking and there is under-investment in digital whereby Morgan Stanley considers value leakage is a risk, as the bank seeks to simplify value share with the owner managers in FY20 and improve alignment. Setting aside regulatory uncertainty, all banks are reducing branches and mortgage brokers are taking share, the broker points out, noting Bank of Queensland is diversifying its growth options and investing $5m to develop its Virgin Money brand into a full digital bank. Lending growth was sound at Virgin Money in the first half and Bank of Queensland has also witnessed an improvement in the distribution of third-party products which drive higher commission income. Citi believes the stalling of the appointment of a permanent CEO has slowed the bank's ability to respond to challenges. The medium term prospects are therefore, unclear until a more definitive strategy is articulated. Sizeable expense management is required and Macquarie agrees this may be difficult to implement, not only amid current franchise issues but also because of a lack of clarity around the leadership. Morgans envisages significant scope for restructuring upon the appointment of a permanent CEO. The bank has said it will provide the market with a further update on costs if there is more clarity. The broker takes this to mean there may be more clarity once a permanent CEO is appointed. Following termination of the sale of the St Andrews insurance business, Bank of Queensland is continuing to assess its strategic options. Macquarie expects a lower revenue contribution from this business in the future. Morgans is also disappointed with the return on tangible equity (ROTE) of 11.4% and expects no improvement for at least two years. The broker expects another reduction to the nominal dividend in the first half of FY20. Bank of Queensland has cut the interim dividend to $0.34 per share, representing a pay-out of 82%. Both Ord Minnett and Morgan Stanley assert the pay-out ratio is still too high and another reduction is likely if earnings deteriorate.